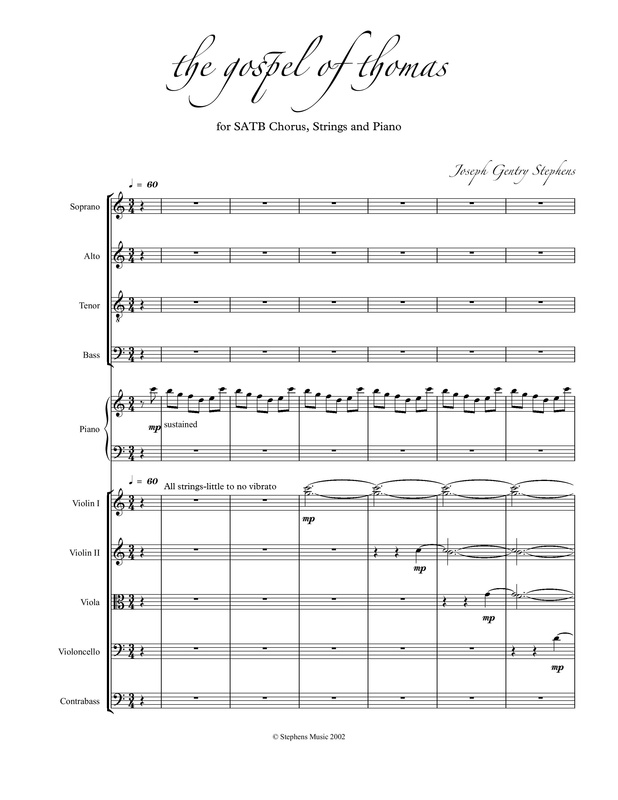 The Gospel of Thomas for SATB voices, strings and piano. Text from The Gospel of Thomas. 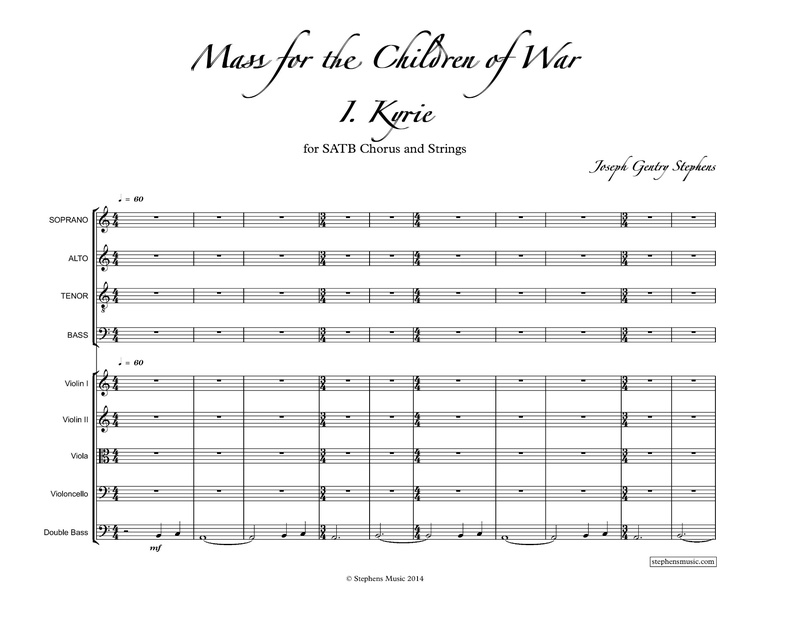 Kyrie from Mass for the Children of War for SATB voices and strings. Latin text. 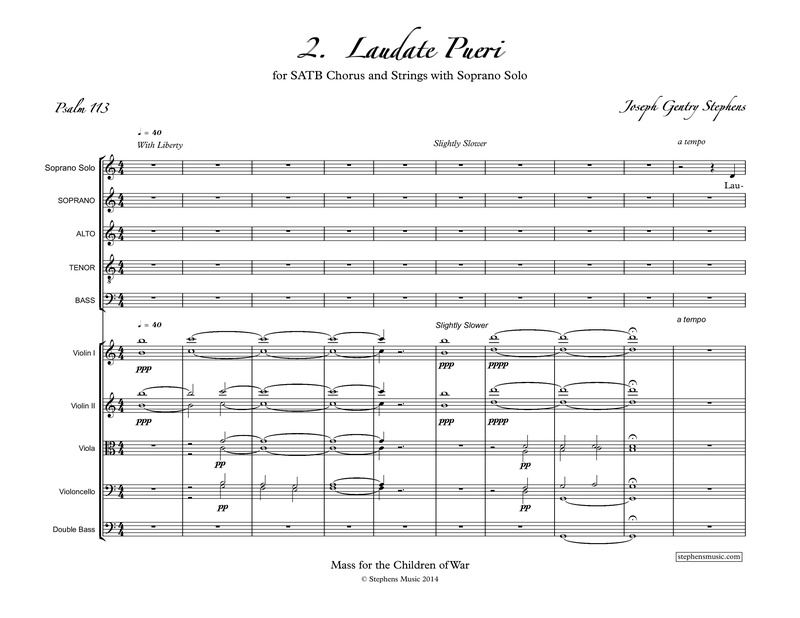 Laudate Pueri from Mass for the Children of War for SATB voices, strings, and soprano solo. Latin Text. 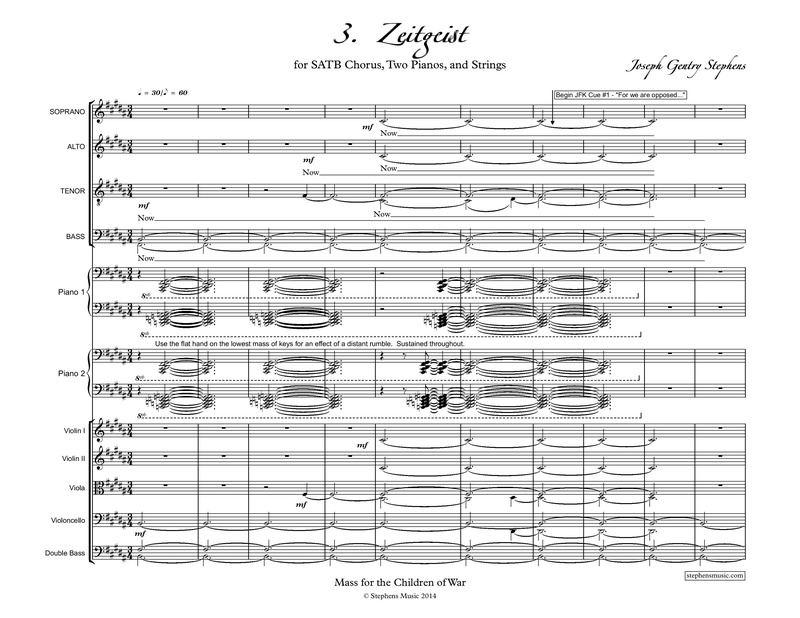 Zeitgeist from Mass for the Children of War for SATB voices, two pianos, and strings. Text translated from the Bhagavad Gita. 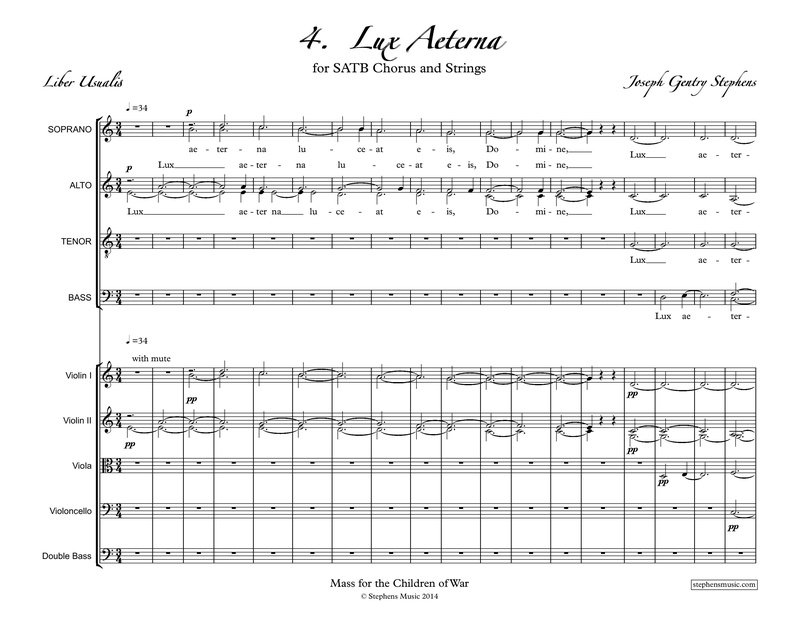 Lux Aeterna from Mass for the Children of War for SATB voices and strings. Latin text.